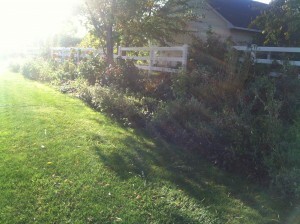 I used to have a (mostly) dirt bicycle path around the perimeter of my acre yard. It was a fun idea that my husband had for our kids when they were little, since we don’t live in a neighborhood with side walks or safe enough streets for much bike riding for those of a more vulnerable age. Trouble is, if the kids took a few days off of riding around it, the weeds grew. Then, when the kids grew and *sigh* left home, the maintenance of that circular strip became a nightmare for me. Just when I would get one section weeded, the other would be already filled in with well established weeds. I felt hopeless. Then, last summer, I was able to hire my young adult sons to put in pavers in a short section behind the barn. There was already a small section in front that my husband had been slowly (think 12 years) filling in with homemade cement pavers. They were pretty, but, call me impatient if you must. Still, this all sparked some hope in me and I tried to mentally problem solve the other sections of dirt path. I knew paving all of it would be too expensive and time consuming. Filling in with lawn seemed the best idea. However, I really didn’t know a lot about lawns. One day last fall, I decided I was going to try to plant grass there anyway. I was discouraged by all the recommended ways of preparing the site. I would need a small army and better funding. Neither was likely. I decided that old mantra of “if you can’t do it right, why bother” was not going to be useful to me in this situation. I was going to make up what was right for me and see how it worked. I knew I had limited time before the really cold weather set in, so I mentally divided the path into sections. 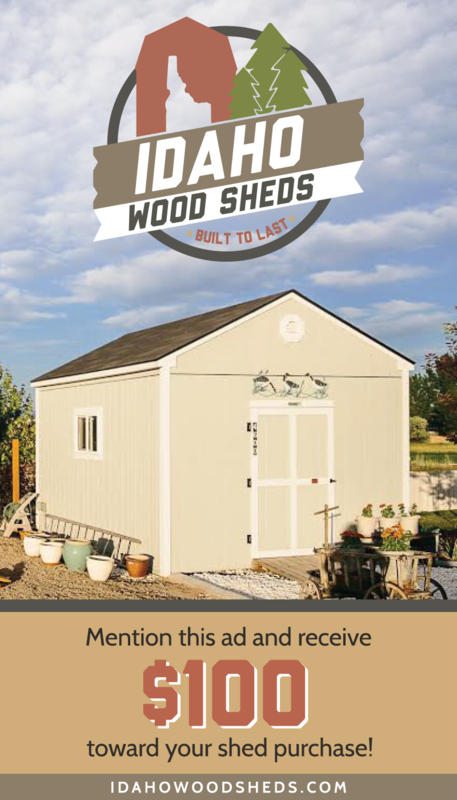 I chose the section that was already bordered by pavers and edging (along the flower bed), and that I would see the most from my kitchen window. The other sections would probably have to wait until next year. 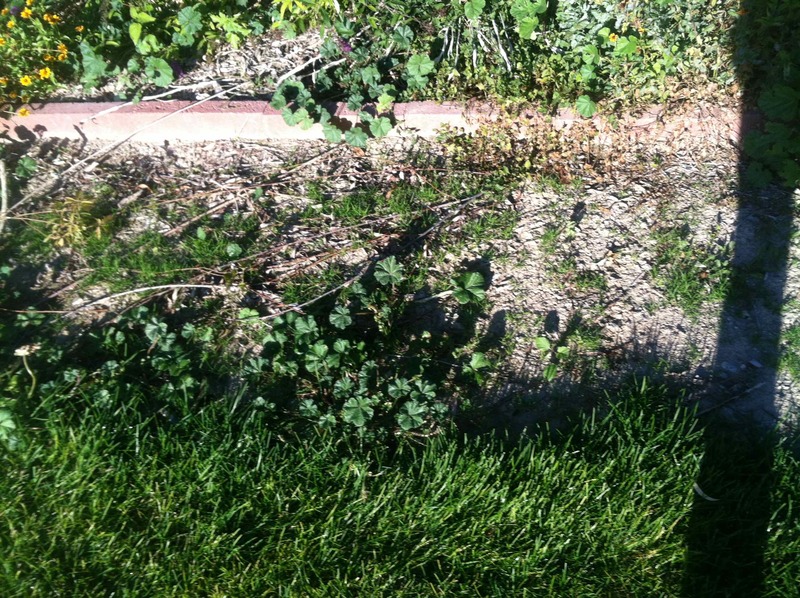 Besides, I didn’t want to do a lot if my creative lawn seeding didn’t work. I pulled all of the broadleaf weeds, huge and small, by hand and spading fork. This tended to make the area look like a mine field, so I gently stomped on those clods and holes to flatten them. I dug out some of the weedy grasses, but wasn’t as thorough with that. I figured the TruGreen treatments would help with that in the coming spring. Besides, I would have been there all winter. I really wanted that seed to be taking root in the fall, if at all possible. I did know that is best. 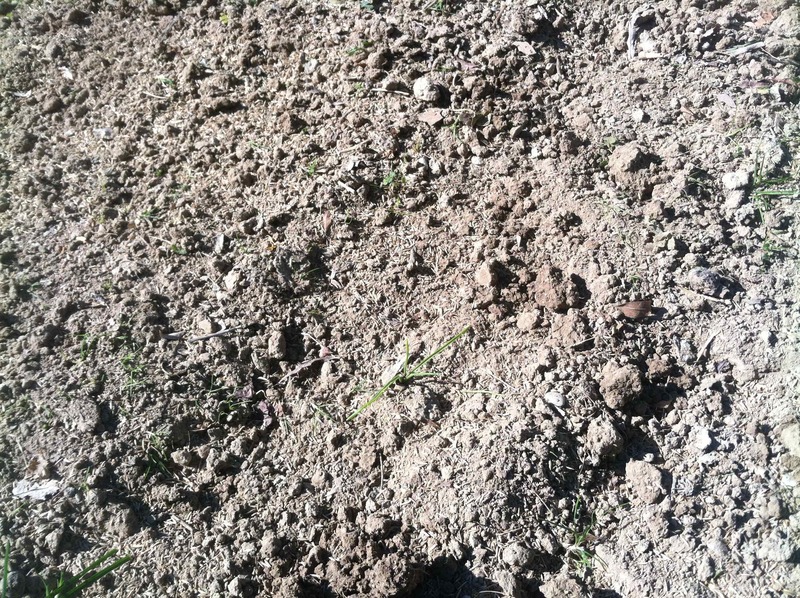 I raked over the top of the soil to create little furrows. This also removed some of the larger debris and did a teeny bit of leveling. Sure, the instructions said something about rototilling a few inches and leveling everything, but then that would be the only really level place in my lawn. I’m sure the original lawn was put in 40 years ago (we’ve live here almost 20 years). Lawns do not stay level over time, with freezing and thawing, goats, dogs, kids, me planting trees. 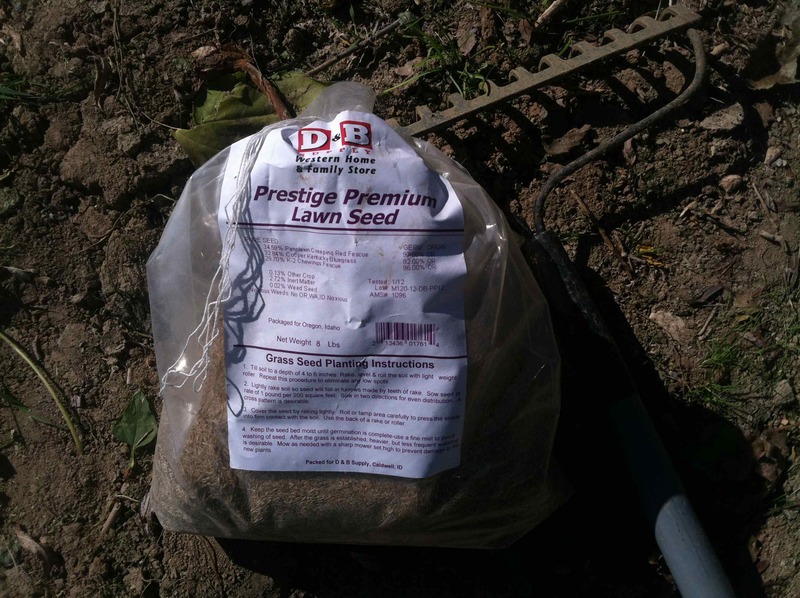 I found an old bag of grass seed in the barn. Have no idea how old it is. I don’t remember buying it. I sprinkled the seed by hand, sort of like liberally salting a roast. I asked the couple of older kids who still live at home not to walk there. I figured there was not much I could do about the dog. The sprinklers were already turned off, so I just waited. It seemed to be a dry late fall! This was depressing. I began to see soft little green sprouts in the spring, but they seemed sparse. I was resigned to failure and went on to other things. 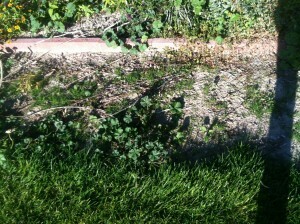 The section of lawn that I seeded last year, 3-4 feet next to the flower bed. This is an aerial view of part of the path that I worked on this fall. 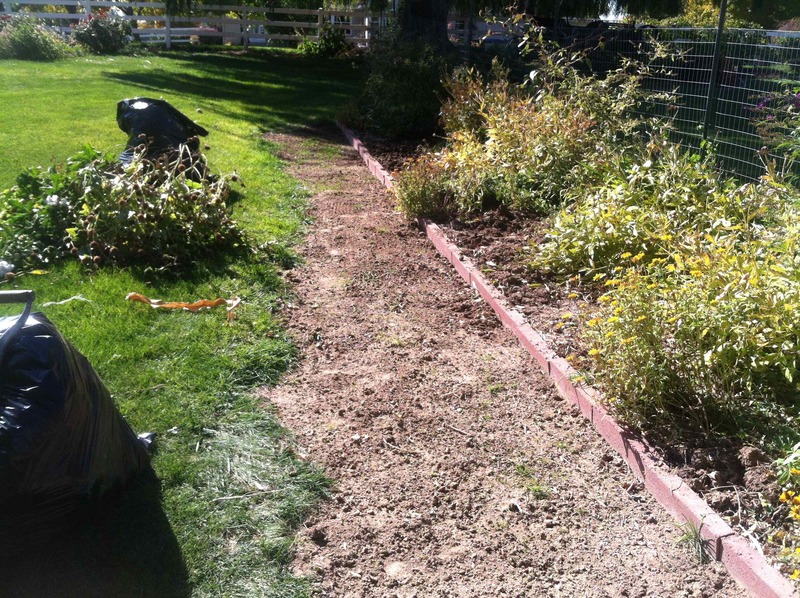 I also weeded some of the neglected flower bed. 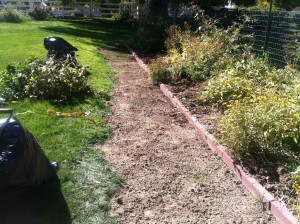 Having the grass filled in there should make weeding the flower bed easier. And here is what the whole section of path to be tackled looked like before I started weeding. Lots of bind weed and healthy mallow weeds! The area has been lightly raked. More lightly because my arms and shoulders have had it from the weeding effort. I found that I had’t used up all the grass seed last year, even though I had spread it really liberally. That was a relief. 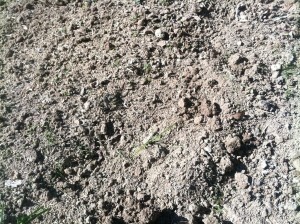 The lawn seed has been scattered over the minimally prepared dirt. The tuft of grass is of unknown quality. The photo is from the same day I spread the seed, so it’s not from that. No one has invented that grass seed yet. Since I got to it a little earlier this year, the sprinklers may still be run a couple of times before winter shut-off. I may even have a chance to go out another day to do another section. It may be the lazy, helpless female method, but you can’t argue with success!